In the past month we reached out to and produced different media, for starters a Helsingin Sanomat mielipide. As we wrote also on in our December newsletter, the current climate discussion is frequently being framed as being a matter of individual consumer choices versus the demanding of big policy changes. But there is no attention in this framing for the building up anew of ecologically and socially just processes on a daily level, based on daily needs, which ultimately must be at the core of any change in society. It is also through these processes that we come to understand what our demands are, that we start to (want to) build democracy differently and with this build power differently. Being with in Oma Maa and other initiatives profoundly brings this to the forefront. Oma Maa chair Sami Keto wrote on this in Helsingin Sanomat. And then January also saw the kick-off of our very own Oma maajussi series! Little clips about the building of a new food system. In case you have missed them, see here farmers Jon explaining the fence building around the edible food forest and the balance between predators and pray, Joel telling on his construction of an aquaduct system in the kasvihuone, and Ruby pondering whether she (and we) is a farmer or not, with the whole conceptualisation and phone held steady by Oma maajussi director Ulla. The steep minus temperatures (in December and) January were of course a challenge for our greens in the greenhouse. We did have some greens in our bags for 2 weeks and otherwise tried our best with regards to trying to come to a stable temperature in the greenhouse as well as to start with more planting! There were no more for the bags, but our potatoes continued, as they are still doing now in February. In the bag we also made Tuusulanpiirakat (potato pies), had seitan steaks and baguettes and also a lot of kale in fresh and dried form, which we got in trade for bread from yet another farmer who was not intending collecting it from his land. Besides the shuffling of a lot, a lot of snow and keeping up with the woodwork to create a steady temperature in the greenhouse, we in January finalised yet more poles for the fence – These previous newsletters will be informative for you who joined only recently. In snow and ice we then kicked off in January our winter season with 40+ bag orders. We campaigned well together in the end of 2018, as we piggybacked of course on peoples new years promises, the vegan challenge, but only by taking them very serious. We designed a This is not a Shop meme type add series, with which we drew attention to the fact that Oma Maa food bags want to promote a comprehensive change with regard to food production and consumption in order to address the total of ethical issues facing and resulting from our mainstream food production, locally and globally. This means not just the replacement of some items in our cupboards, but our food consumption in its totality. Wonderful personal testimonies on Oma Maa’s workings were also put out in the end of 2018, thanking one more time for all the support given to the coop in that! And from this start onward then, we continue each month to take on more bag orders, which can be done via here ordering of the bag. In February we are at 53 full bag orders which allows us to get the bills paid but not much more than that. So all new orders are very much welcomed and needed! We are finishing this newsletter also on the days after we had a very good farming 2019 planning meeting. The memo of that meeting was already shared in another email. 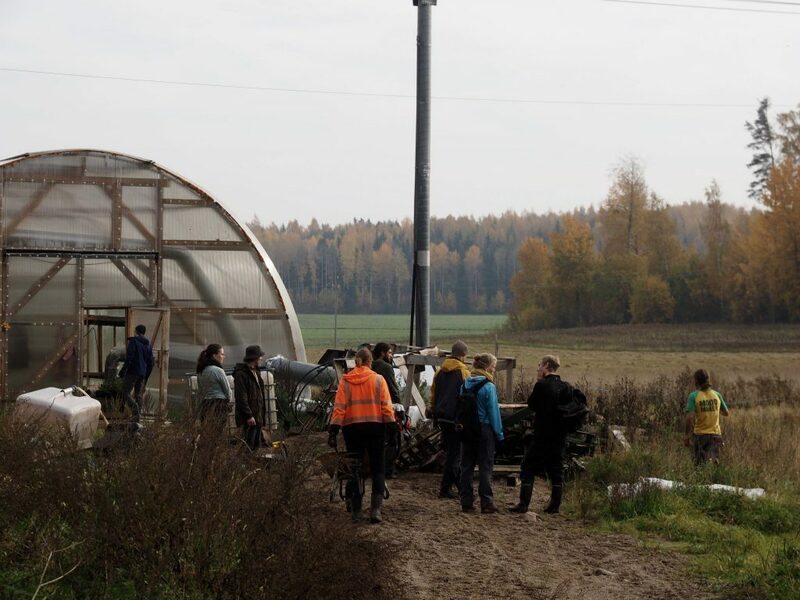 Also in 2019, we continue welcoming you to join for talkoot during any weekday at the farm or any pick-up day on Kaarlenkatu. You can sign up to work at the farm or in the cafe on pick-up days as well as offer or find a ride to and from the farm via the talkoot form (link in email version). You’re welcome to participate also in the monthly board meetings at Kaarlenkatu. Links to agendas and meeting notes can be found in the email version of this newsletter. Till soon at one of these occasions! In this, and beyond this, Oma Maa takes us further. Also in 2018, Oma Maa continued to offers its members food bags. They typically contain readymade products, products from the greenhouse and from the land. In the bags there will typically be some 8-9 products. Every week the bags will be different, and one can order them every week, or every other week. (Your order you can also be shared with friends, with third parties). But otherwise, they mainly consist of products from those three categories and they are always the same for everyone receiving a bag on a given bag day (whilst someone always has the possibility to trade a particular product from the bag with products having been put for trade on an ‘exchange shelf’). 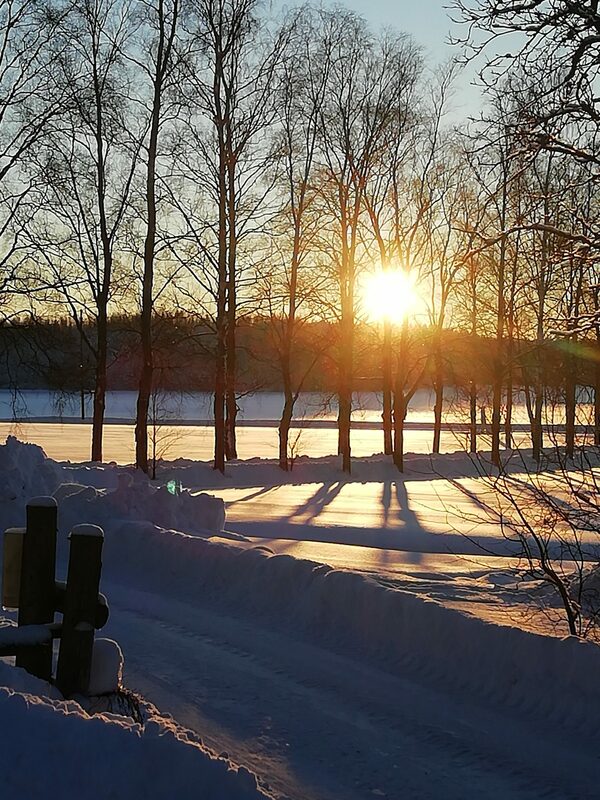 9.12.2018 / omamaafi / Kommentit pois päältä artikkelissa Oma Maa Jäsenkirje 12/2018 : At the end of a beautiful Oma Maa year : up with ecology and democracy (and all the possibilities Oma Maa offers)! This Newsletter is written during a time in which many fold environmental and societal concerns are speaking up. Quite often the discussion is being framed as being between consumer choice and big policies, and it is pointed to the fact that it is the latter that truly matters. There is another way to look at this which entails an acknowledgement of the need to work towards a profound democratisation, implying (cultural) change in the way we lead our daily lives, which will have to become a backbone of the answer. And in this context, and we talked about this also during our wonderful membership dinner at the end of November (see more below), it is truly enthusing that our coop Oma Maa as a whole offers/can come to offer, different bridges for us, possibilities, to be changing some of the immediate around us, as in/extensive as basically we ourselves want to engage in. Our November bags continued to see Oma Maa carrots, nauris, lanttu, and punajuuri in them (These previous newsletters will be informative for you who joined only recently). In the greenhouse the growing of our new round of asian leaves, mangoldi, spinach and pak choi unfortunately got slowed down, as we remained struggling with mice and rats, but also with the heating which was not working properly – the oven broke and needed replacement of a part and repairing. Now the oven is repaired and we are as back on track as we can be with our new plants. This week our first Mangoldi which has had a bit a bumpy ride in these circumstances will not be handed to you in the foodbags, but in the planned pelmenit for the coming week foodbags! In November, to name but a few things, we started making posts for the foodforest fence, cleaned and stored machinery for winter, fixed and sealed the greenhouse, and made firewood for the heating of the greenhouse. Also there was the inventory of seeds, more penkkit prepared and planted, and some more lamps added. In November we also addressed in a few steps where we are standing with our chickens, i.e. with our egg orders. Throughout the year the number of chickens on the farm goes through a cycle relating to Lassila farm also seeing a coming and going of summer chickens. We as Oma Maa coop then again have our own fluctuation in demand. Typically there is then more demand for eggs in the summer then in the winter and as such this flow needs to somehow be organically dealt with. Assessing the situation, we have now also taken up yet another possibility category in the pricing of our eggs. If someone has a foodbagg share, but not an egg share, one can order eggs with the same seasonal commitment as with the foodbags, at the price of 40 euro / 2 kennot per week (if the available amount of eggs allows this). November started off with a great Kekri celebration – we worked together and took all our oma maa’s givings out of the ground! We prepared and ate a wonderful meal together still outside at the tables under the apple trees, watched the skies being lit up by a high kokko and had a sauna. A last smaller but important mansikka weeding talkoot also still took place November (the more the beautiful our strawberries will be next year!) – and of course at the farm at large winter preparations came in full swing. At the Kahvila then that same wonderfulness from the farm continued to the city during our second amazing jäsendinner, during which our cooks (and farmers) Jukka and Jan once again prepared a three-course menu entirely made out of ingredients from the farm. During the eve we heard on how Oma Maa was doing, including besides on all the so much good what has happened this year also on our challenges – we remain having a real need to be higher the amount of bag orders – as also on the fantastic possibilities Oma Maa already does and can come to offer, as we started this newsletter off with. And we heard from Jan and Jukka who took part from 9-11 November in the gathering of European Community-Supported Agriculture movements in Thessaloniki, Greece, for their 4th European Meeting. To name a few of the points that came up during their relating and the discussion that followed : Meetings like this serve to empower on a personal and movement building level, with both processes being important for our common objectives at large. And when comparing this meeting to the previous CSA meeting Oma Maa also participated in, one difference is how the Urgenci network is trying to gather more resources from its members to fund international co-action. We are thanking everyone who was with this eve, they were beautiful and mutually strengthening, and as announced then, the contributions given for the dinner will be supporting the making of a traditional fence around the edible forest. Still about our already much applauded dinners @Kaarlenkatu, the idea is next year to continue with our membership dinners at least once a month. In addition, Oma Maa@Kaarlenaktu 15 will be opening up for public pre-reserved dinners. Towards a New Year ..! For the December month we are now at 51 bag orders, and are again happy with a few more people who have joined as full coop members, as well as with the eight new (try-out) members that responded to the possibility to receive an Oma Maa Joulukassi special – Welcome! And we on the farm are excited about the bag content we are currently preparing for you in the two still upcoming bag weeks (whilst reminding that next week (week 50) is a normal pick up week, whereas the week after that (week 51) it will be so that everyone will be picking up a bag either on Tuesday or Thursday, as we will have no bags made in the last week of the year). Welcome that week to stay on a bit during satojako for some Oma Maa Glöggi! Week 52 (2018) and Week 1 (2019) gives then time for all of us to be able to take a break, reflect and not in the least also develop thoughts also on paper for different other activities ‘beyond’ food we want to develop as a coop. As you will have noted, we have opened the orders for the winterbags!, which will be smaller and consist mostly of processed and dry products, and thus cost less (120 euros a month). As we wrote already in the previous newsletter, aim is to develop the processed products so new products are to be expected in addition to the familiar falafels, seitan and yoghurt. There will also be greenhouse greens in the bag and our collected berries are in the freezer to be shared, as well as to make ready products from. In addition we will be experimenting with the cultivation of mushrooms (oyster mushrooms). So, another repeat:), a lot of development of our foodbags will be upcoming this winter and made possible by your ordering of the bag! Welcome to join for talkoot during any weekday at the farm or any pick-up day at the cafe! You can sign up to work at the farm or in the cafe on pick-up days as well as offer or find a ride to and from the farm via the talkoot form. 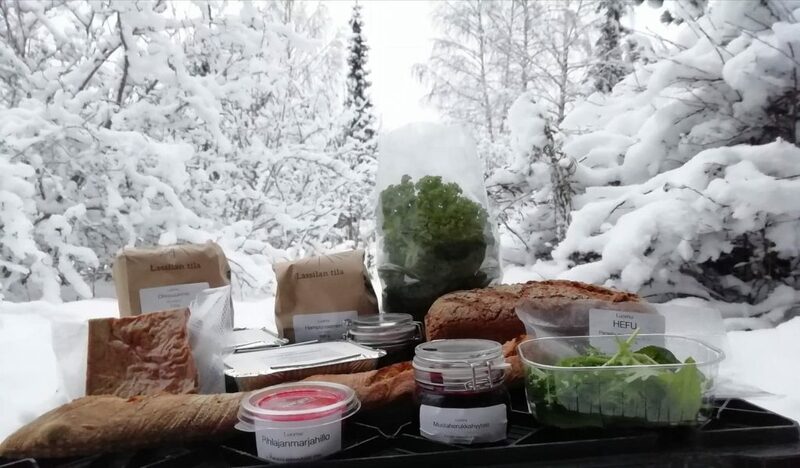 Oma Maa Jäsenkirje 11/2018 : traditional and future food Oma Maa treats for Xmas! 6.11.2018 / omamaafi / Kommentit pois päältä artikkelissa Oma Maa Jäsenkirje 11/2018 : traditional and future food Oma Maa treats for Xmas! These previous newsletters will be informative for you who joined only recently. 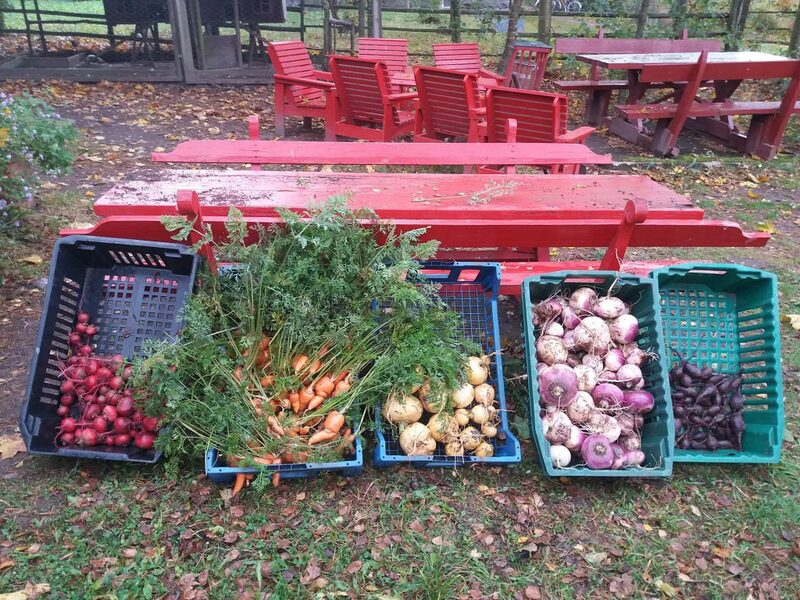 October brought an abundant month of Oma Maa carrots, nauris, lanttu, and punajuuri – some roots very huge, but also many tasty baby roots, and with it – as our farmer Joel Bird put it – a rainbow in our foodbags. In the greenhouse our cucumber and tomato season came for a moment to an end, whilst a lot of planting started up again: asian leaves, mangoldi, spinach, pak choi etc. upcoming in our bags very soon! At the same time we had some drawback in the greenhouse caused by among other things mice eating our produce. We are actively doing our best to control such factors and get our new plants doing well! New in the bags were hemp seeds from our second farm in the coop, Kaukon tila. And as mentioned also further on in this newsletter, some first hemp products were experimented with during our October dinner. In the October bags, we also had a nice combination of local products, local methods but global tastes Oma Maa wants to experiment further in, as our bags had seitan tortilla and an excellent much complimented Salsa Verde from our own tomatillos. 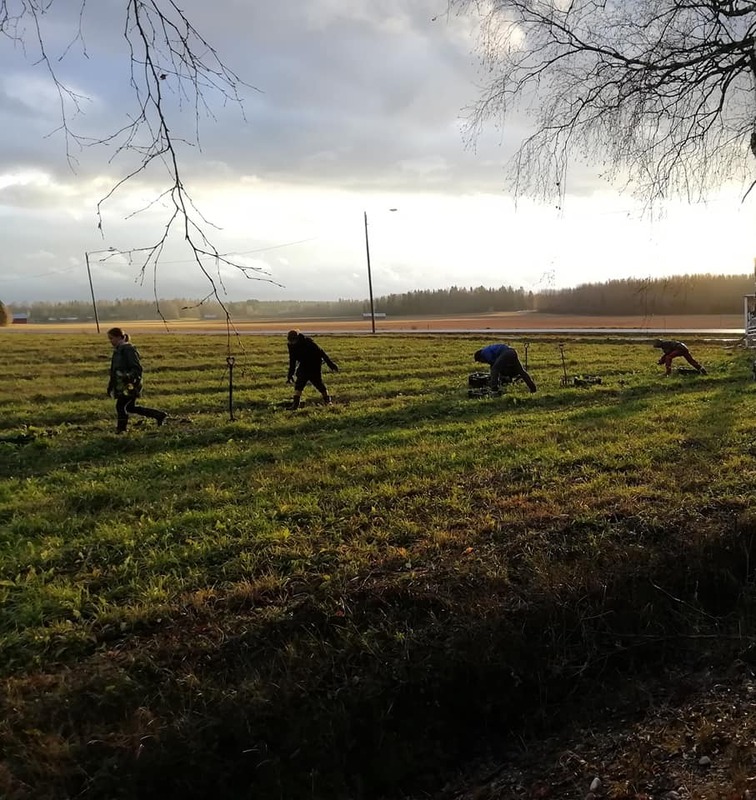 Some 30 people participated in October on a beautiful autumn-ish weekend during the “Sadonkorjuutalkoot ja ruokametsäkävely”. The turnout was wonderful, to show and share on all the doings with our members and to collectively also get a good amount of work done! Everyone was commenting how such a day can make such a difference in getting the things done. All our hands put together make the load light! @the Kahvila – Next Dinner 23.11., do sign up now! We had a fantastic dinner on 26.11. at the Kahvila on Kaarlenkatu. 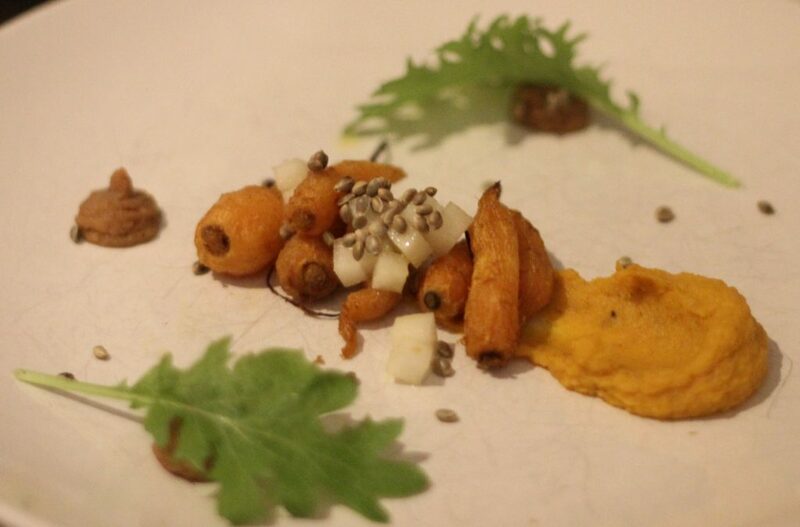 Our cooks (and farmers) Jukka and Jan prepared a three-course menu entirely made out of ingredients from the farm, which included this time among others a new experimentation with the making of Hemptofu. The goal for this dinner, in addition to an enjoyable evening, was to gain practice for everyone and to get feedback about the food and the overall experience. Following the delicious meal, we had a good round of discussions about our coop, see this little note on the things we will be collectively taking forward. And a next dinner is already set for 23.11., under the theme of Oma Maa as a part of international (food and land) movements. 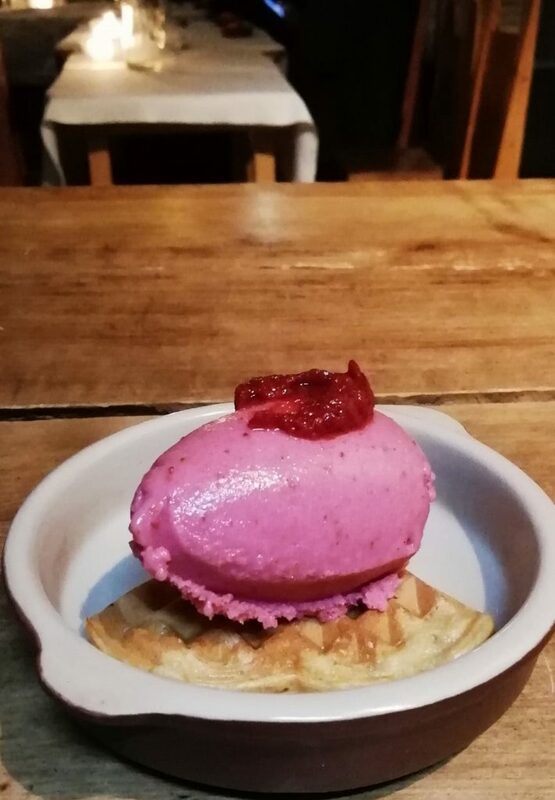 It is great that our farmers Jan and Jukka are taking part on 9-11 November 2018 in the gathering of European Community-Supported Agriculture movements in Thessaloniki, Greece, for their 4th European Meeting – and will be telling more on this over dessert on 23.11. – do sign up to jasenet@omamaa.fi! More Coop members & December’s Oma Maa Xmas (try-out) bag! For the November month we are now at 55 bag orders, and whilst this means we are at a bit less bag order, we are very happy a few people have joined as full coop members, as well as that four new try-out members joined us for November, welcome! As already notified of, we will commence with our winterbag season in week 2 of 2019. We requested your comments on the “Summer-winter season switch and 2019 bag ordering arrangements”, and we got a few replies from you writing that the arrangements seem good! (See our e-mail to you on 30.10.2018) So we will be proceeding as such. We will soon be opening the orders for the winterbags, which will be smaller and consist mostly of processed and dry products, and thus cost less (120 euros a month). As we wrote also in the email, the aim is, however, to develop the processed products so new products are to be expected in addition to the familiar falafels, seitan and yoghurt. 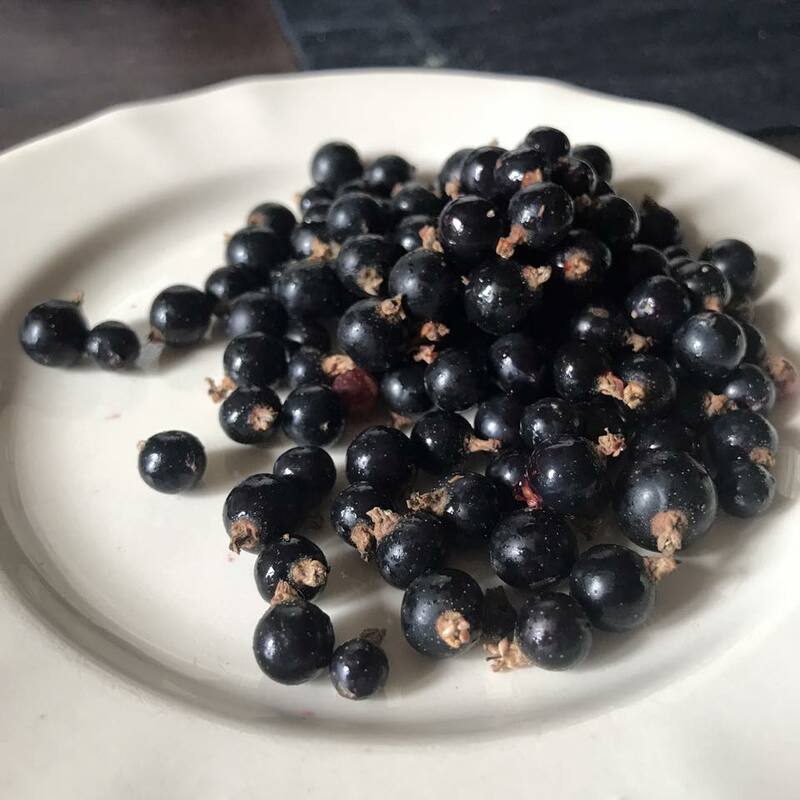 There will also be greenhouse greens in the bag and our collected berries are in the freezer to be shared, as well as to make ready products from. In addition we will be experimenting with the cultivation of mushrooms (oyster mushrooms). So a lot of development of our foodbags will be upcoming this winter and made possible by your ordering of the bag! Also August brought sunny and warm days, with the publicly expressed concerns on climate change continuing. Farmers too were on the brink, as this letter of a Dutch farmer was testimony to, urging his colleagues to go organic and sustainable in the face of climate threats. 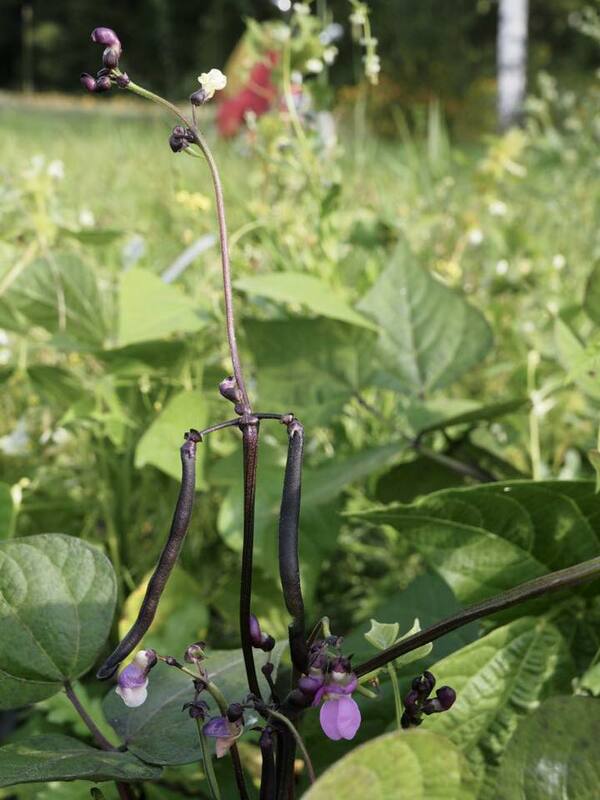 As our farmer Jan Veltman put it well, ”Interesting letter by the owner of a food-forest in the Netherlands! It’s meant for farmers, but we can also help by choosing where we buy our food!”. For more on the latter, see this nice 5 min video The Future of Food which puts further to the forefront what a beautiful thing we have in our hands with Oma Maa. With this of course also the good work continued. Much of the work mentioned in our August newsletter continued, but to mention a few particulars of time consuming activities we did during September on the farm : all the garlic was removed from the ground, all cherries picked, and all of the hay was collected from the land. This September month we have come to 62 full bag orders, 42 whole bag orders and 40 half bag orders. Ten new try out members joined us in September (Tervetuloa!). With our egg orders remaining pretty much full for the moment. And as such we continue to welcome more people to join us! 🙂 which remains a necessity for our coop to come to a sustainability level to be able to continue its operations. In terms of our season, our current “summer season” continues till November, and as such anyone signing up for the foodbags continues to be welcome! We are still fine tuning our plans with regards to what follows after November, i.e. how we continue into the winterbag season. But we will share this with you as soon as we have full clarity! At the very end of the month also, we had a good open board meeting which in particular addressed the further organising of activities in our coop. Please still find the notes here. Viestintäryhmässä mm. tehdään jäsenkirjeitä, ylläpidetään nettisivuja, päivitetään some-kanavia ja suunnitellaan mainontaa tapahtumissa. 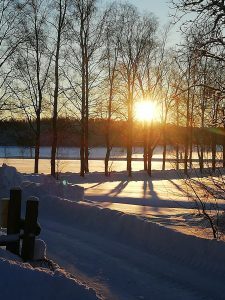 Jos viestintä kiinnostaa, ota yhteyttä Mikaeliin (mikael.ruohonen@gmail.com) ja seuraa osuuskunnan facebook-ryhmää. Tervetuloa mukaan ideoimaan ja kehittämään Oma Maan talkootoimintaa! Tapaamme maanantaina 17.9. Klo 17.30 Oma Maa -kahvilalla. Käydään läpi tämän vuoden talkoilun kuulumisia ja fiiliksiä – mikä on ollut kivaa ja antoisaa, mitä voisi tehdä paremmin. Kaikki ajatukset ja käsiparit ovat hyvin arvokkaita! Kiinnostuneet, ottakaa yhteyttä Outiin: outi.silfverberg@gmail.com. Besides activating these working groups, our aim is also to organise a few memberdinners at our kahvila in October, during which besides having a wonderful exquisite dinner together, we will also take the opportunity to deepen our understanding of what our Coop is and can be. More on this asap! Welcome to join for talkoot during any week day at the farm! We will also be having our next Open board meeting Tuesday 18.9, klo19 @Oma Maa kahvila, Kaarlenkatu 15. Welcome there too! July rainy summer greetings to all of you! not in the least also to you who have joined us now this month! It was a very warm and sunny June month also on the farm, during which we concentrated on different things. We continued the development of the greenhouse and as such continued to have greens in the bags including our first beans! Our tomatoes and cucumbers are now growing strong there. We also spent time on our food forest clearing the area out; planted a lot of berry bushes, trimmed fruit trees, and of course spent efforts on watering the area. We also planted on the fields – carrots, mangoldi, a variety of beans, potatoes, onions, summer squash – and are keeping fingers crossed the rains have been coming in time for them to grow! 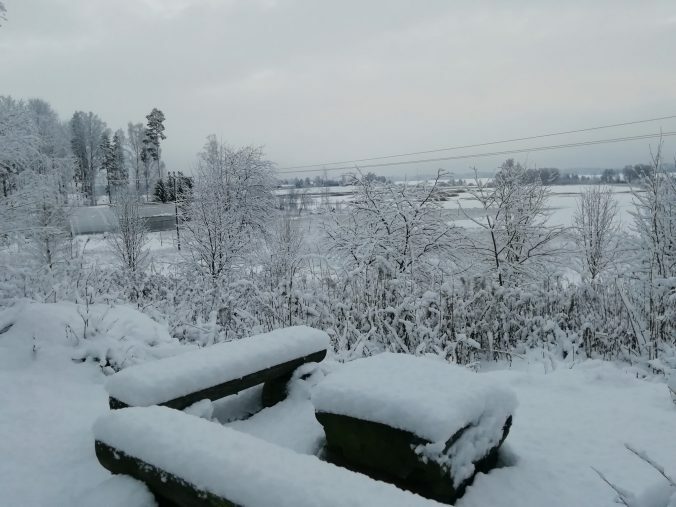 As you will all have heard about, the past warm weather conditions have been presenting challenges for all farmers in Finland. 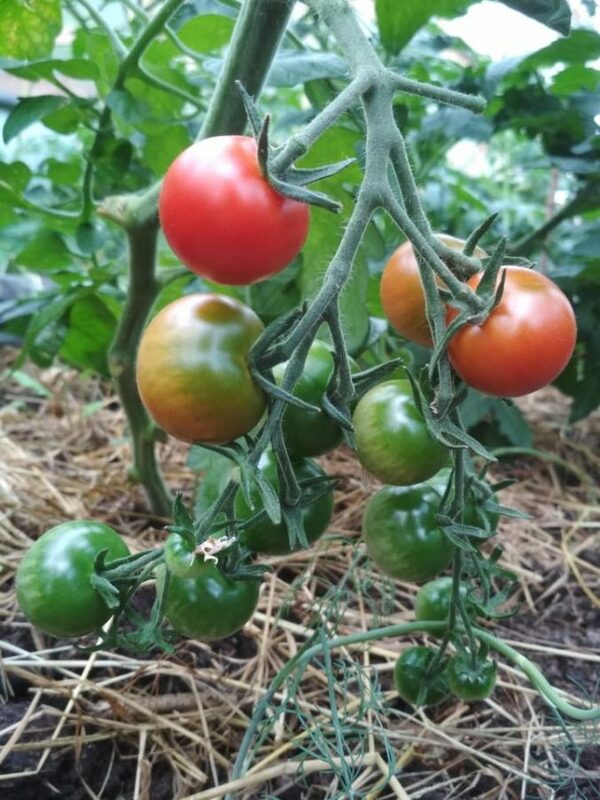 In general, our avomaatuotanto will now be coming out a bit later this year, as we focused our spring energy to our very first greenhouse season, and our edible forest – both of course two fantastic things to have enjoyed and cared for! Do read also the profile of farmer Jan, one of our makers and care-takers. We had to deal with an electricity cut during one of the bag days. This made us for a first time postpone our bagg day to the next day as we did not want to do away with all the prepared dough for the bread and beans for the hummus. But as the electricity only returned later on that postponed bag day, it was not possibly for us to make the bread and humus, and we ended up loosing what was prepared anyway. It is in moments like this, that looking at things from a long term perspective are important. Because, we have been seeing the bountiful side as well! Sharing the bountiful : Peltojooga and Strawberries! Also, cooperation was renewed with one of Oma Maa coop’s founding members Eero Mattila of Kaukon tila, and in this manner we were firstly able to enjoy blackberries from the freezer, but then also a good amount of this years beautiful strawberries in our foodbags (of the Polka, Bounty and Jansok varieties). 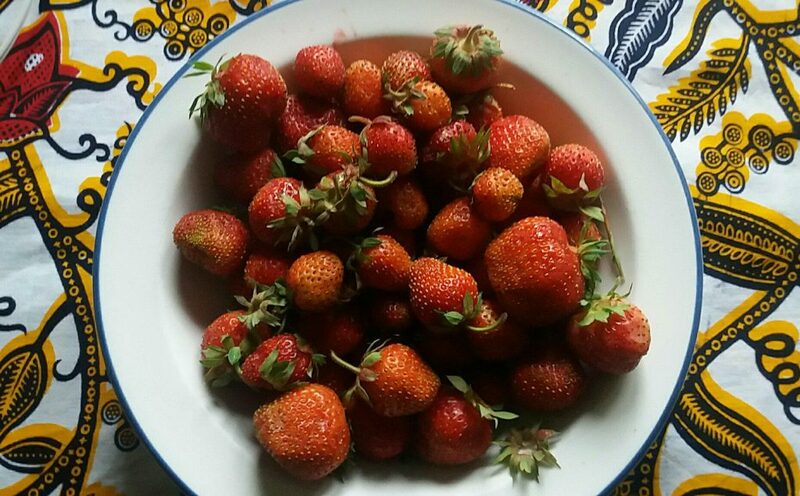 In addition, a number of you already came to the farm and picked strawberries according to the favourable conditions our coop was able to offer (8 € / kg if you pick just for yourself, or you pick on the principle of 50 % for the coop, 50 % for you). This offer still continues! as long as the strawberry fields provide, and is offered to all members, current try-out members and satojakokaverit, but not to other kaverit :). Needless to say we are also hoping this sharing of abundance is motivating our (try-out) members to renew or continue their enjoying of and commitment to our cooperative process! We can not stress too much, that our coop’s food bags are to be seen as a developmental process in itself, along with the overall development of the cooperative. Orders for August foodbag open now! This July month we are having about the same number of bag order as in June. From August onward then, we are hoping to welcome the food bag orders of as many of you as possible:) be it as a member, as a try out member becoming member, or also of course of any new try-out members you believe would be interested to join! We are hoping to come to some 80-100 foodbag orders – this will be necessary for our coop to come to sustainability level to be able to continue its operations. We are at a critical point in this, thank you all for taking this to heart. You will note that on the talkoot form, you are also able to engage in a variety to Oma Maa promotional activities. You would be most welcome to engage also in that way in taking our coop forward! A little political end-note:) One beautiful feature of the working on the farm, is certainly also the societal and political discussions we have been having over morning coffee or lunch concerning, well, you name it:) but often of course regarding that what we are engaged in. Lifting here a particular issue we discussed during one of those moments : whilst putting a focus on the combatting of climate change is ofcourse an important issue, there is actually an even more core pressing reason in light of future life to farm and eat organic, namely the saving of our nature’s diversity. This is also what Oma Maa kumppanuusmaatalous is about! You can sign up, offer or find a ride via the following form (link to that in the email version of this newsletter). Hoping to great you soon on the farm!